Osteochondrosis is a dystrophic lesion of the articular cartilage and the osteal tissue of a joint. At an osteochondrosis occurring in the spine compression of the nerve roots can occur. About 80% of the world’s population suffers from osteochondrosis at some stage in their lifetime, with the incidence on the increase. The process can spread to the whole spine (generalized osteochondrosis) or remain localised (cervical, thoracic and lumbar). 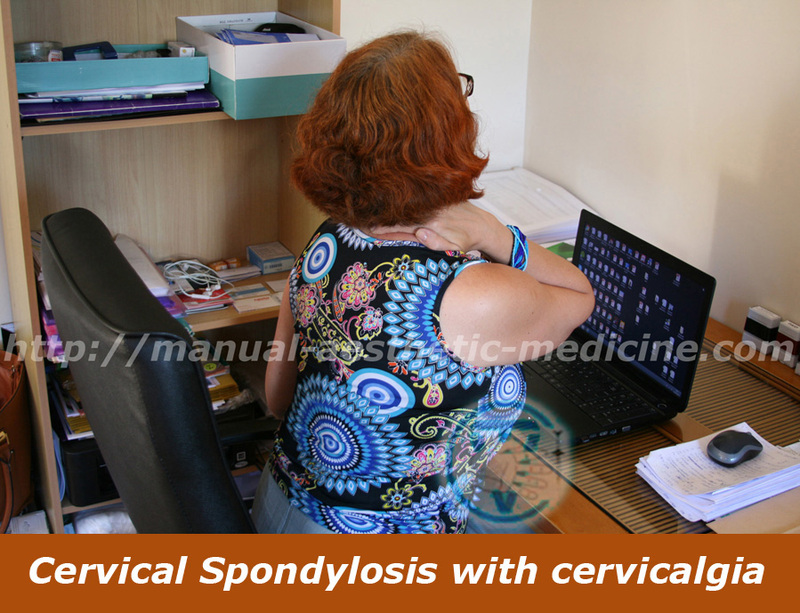 When this occurs in the neck it is also called cervical osteochondrosis or cervical spondylosis. Osteochondrosis of the neck can be singled out for specific discussion due to its classical clinical presentation. Able-bodied people are the most susceptible to the disease. There are a number of reasons as to why this condition may occur. These include genetic predisposition, increasing degeneration with age, metabolic disorders, endocrine disorders and trauma. Work and activities which involve continuing neck muscle tension (such as that performed by office employees, drivers, joiners, scientists or people sitting in front of computers or televisions for hours) as well as stress can be additional initiating agents. This is why energetic and determined people (modern workaholics) are often affected by the disease. 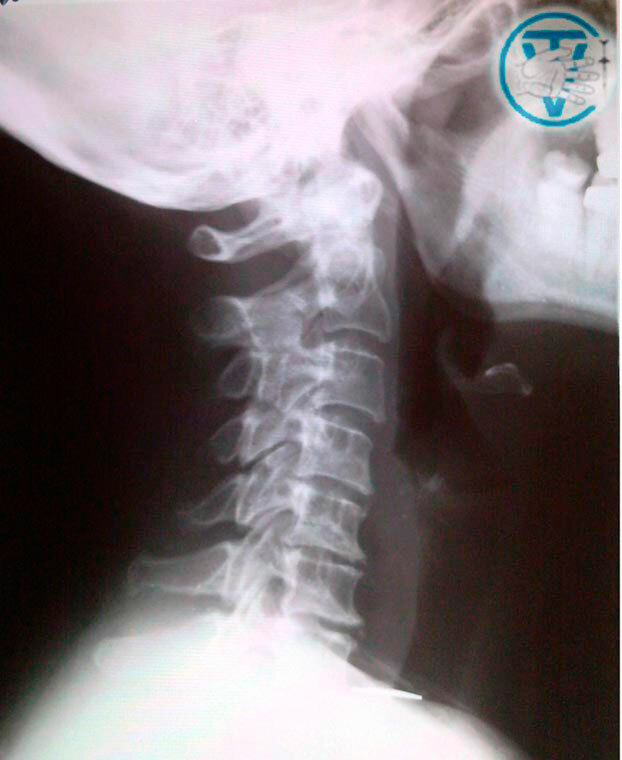 The clinical presentation of cervical osteochondrosis is determined by the structure and physiology of the neck. One of the biggest arteries in the body (vertebral artery) goes through transverse foramens to the cranial cavity and nourishes the cerebellum (involved in motor control), vestibular apparatus (equilibrium-related function), limbic system (supports a variety of functions including artery and vein tone, emotion, short-term memory and viscera functions) and other vital centres located in the brainstem( I.I. Velikanov). Changes caused by cervical osteochondrosis affect the articulating surfaces of the vertebra, disks and surrounding tissues. 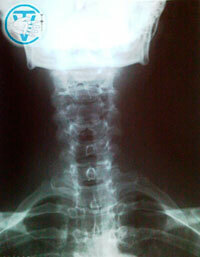 Cervical vertebra are unsteady and can easily become displaced. This can result in the narrowing of the canal through which the vertebral artery travels, causing ischaemia to the regions it supplies. It can also narrow the canal through which the nerves to and from the brain travel, causing symptoms in the neck and upper extremities. These nerves also influence cardiac and bronchopulmonary function. Typical manifestations of cervical osteochondrosis include neck pain, headache as well as vestibular, visual, autonomic and psychosomatic disorders (A.B. Sitel, М.Е. Sanina and co-authors). Clinical presentation of neck osteochondrosis varies. Neck pain, pain in the interscapular region, shoulder pain and pain that may spread from the occiput to the crown or forehead are common complaints. Protective muscle tension, neck motility loss and shoulder girdle muscle hypotrophy are sometimes observed. Persistent headaches of different intensity and nature appear suddenly and intensify with changes in the weather. Headache may be accompanied by the following autonomic manifestations: fever, shiver, sweating, nausea, palpitations, change of blood pressure, drop attack, heavy head or face swelling in the morning. Pins and needles, weakness and loss of sensation in the upper limbs are also typical in this condition. Pain in the left arm and interscapular region may mimic that of a heart attack. There is viewpoint that cervical osteochondrosis can cause scapulohumeral periarthritis , epicondylitis and Dupuytrens contracture (A.A. Ocheret). Visual disorders can manifest themselves as pain in the eyes, a veil in front of eyes or a decrease in visual acuity. Cochleovestibular disorders comprise vertigo, sensation of the ground slipping from under one’s feet, unsteady gait, tinnitus and hearing impairment. The symptoms are often accompanied by changes in emotions and personality such as irritability, tearfulness, anxiety, rapid fatigability, distraction, memory problems, lowering of mood, sleep disturbance and specific phobias. For example patients may fear going out unaccompanied due fear of loss of consciousness and fall, or fear driving a car. Lack of self-confidence, doubt about the possibility of recovery and depression may co-exist. Sometimes after an episode of disease the patient can be brought into remission, not due to treatment but as a result of growth of collateral circulation, which cannot guarantee against a relapse. According to А.V. Poprotsky, the wide range of clinical presentations may be explained by the fact that higher levels of somatic regulation, including neuroendocrine and motor regulation, are represented at the brain limbic system, and blood supply disturbance in this region may manifest itself through musculomotor and neuroendocrine symptoms as well as through mental symptoms. Somatic and psychosomatic symptoms go together. The variety of clinical presentations of cervical osteochondrosis can make a diagnosis difficult, especially when psychosomatic and autonomic symptoms manifest more acutely, masking more localised symptoms. According to V.A. 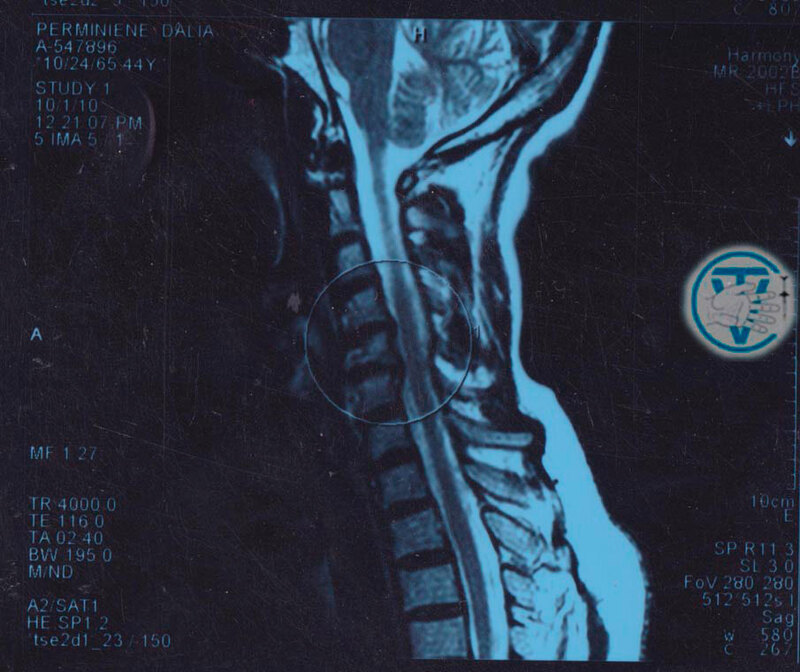 Bersenev, the clinical portrait of a patient with cervical osteochondrosis and ischemic disorders in the brain limbic system can be described as a ‘vegetative invalid’. If a patient with this condition does not receive the appropriate treatment they may be left with a permanent disability. Treatment of cervical osteochondrosis is a complex problem, which is still not completely understood. There are a lot of methods to influence the course of the disease and some new ones are being developed. We offer a comprehensive treatment plan to our patients to eliminate pain, relax muscles, restore the range of motions, lessen degenerative processes in intervertebral articulations and disks and enhance arterial blood flow and cerebral microcirculation. To achieve the results we apply sparing manual techniques and therapeutic massage except for patients with prominent autonomic symptoms. In the latter case we use methods that avoid direct contact with the cervical area. At the same time solely manual therapy is not enough for patients with cervical osteochondrosis. 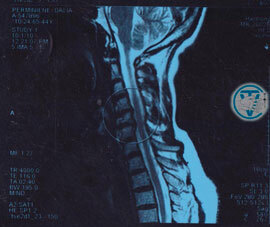 Furthermore, coarse manipulations on the neck are not indicated, due to the serious possible complications. Physiotherapeutic procedures make up a very important component of the therapy. Today, there is a large variety of pharmaceutical substances that can improve the quality of life of the patient. As for drug treatment, we prefer homotoxicological and homeopathic remedies because they are quick acting, have no side effects, are quite effective and help to obtain lasting results. Regression of clinical presentations depends on the extent of disease, presenting symptoms, patients’ age and co-morbid diseases. After the course of treatment patients generally recover from phobias, headaches and vertigo, the gait becomes normal and self-confidence is restored. In many cases blood pressure values improve and sensitivity of fingers is renewed. People return to their normal lives and professional activities. The disease has a tendency to recur, however, so refresher courses of treatment are advisable.